The project was the largest undertaken by the City of South Perth and has been around ten years in the making. 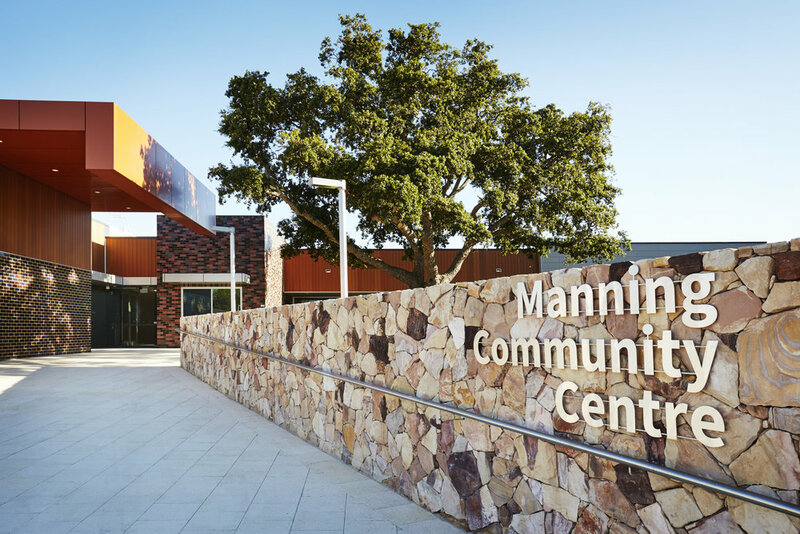 The facility houses the relocated Manning Library, a community hall, Manning Child Health Clinic, Moorditj Keila Aboriginal Group, a sporting clubroom to house the Manning Rippers Football Club, and an early years centre that houses both the Manning Community Toy Library and a new Manning Playgroup. The design of the development has a complex blend of finishes and layouts to stand out from the crowd. Comprising of a single storey facility with basement car parking, the various buildings are connected by a striking central concourse. This feature comes alive with spectator seating, plus several functional (and visually striking) timber pergolas featuring glazed canopies. A central stairway connects the upgraded community oval and change room facilities. The external elevation features a blend of glazed brickwork, Terracade cladding, metal cladding, timber cladding and stonework, creating a dynamic appearance that beautifully complements the surrounding residences. 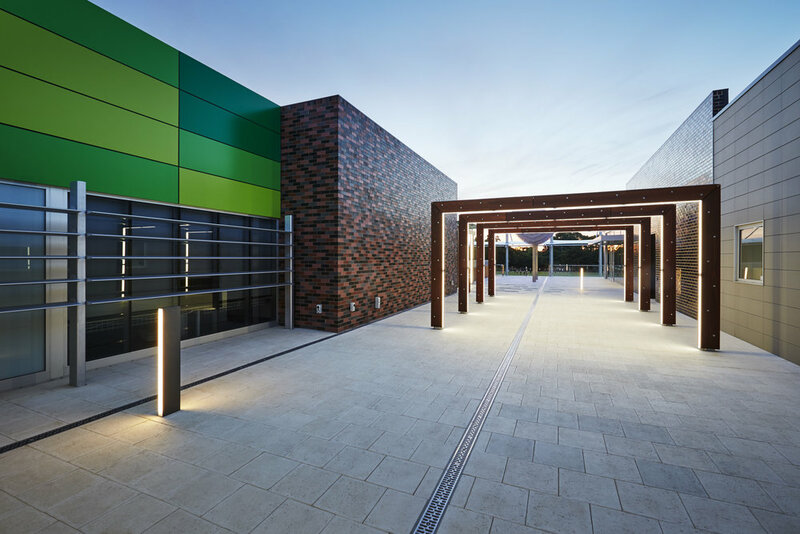 This superior external design philosophy is transferred internally with a series of complex, high level finishes fusing colours, textures and product type, from timber panelling to acoustic fabric walling. 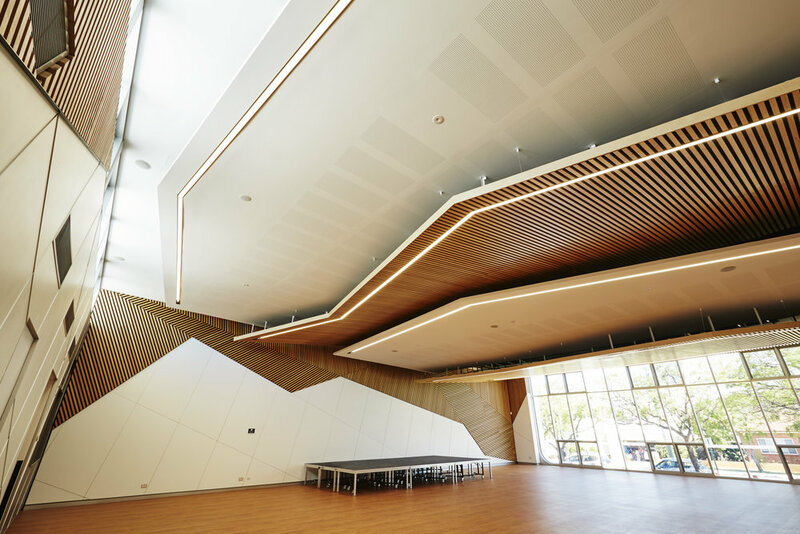 PACT’s achievement of completing a project that presented the challenge of such design complexity is a testament to the company’s expertise and impeccable track record. Ultimately, PACT’S ability to achieve the desired outcomes for all stakeholders has seen the company exceed all expectations to deliver this incredible project.